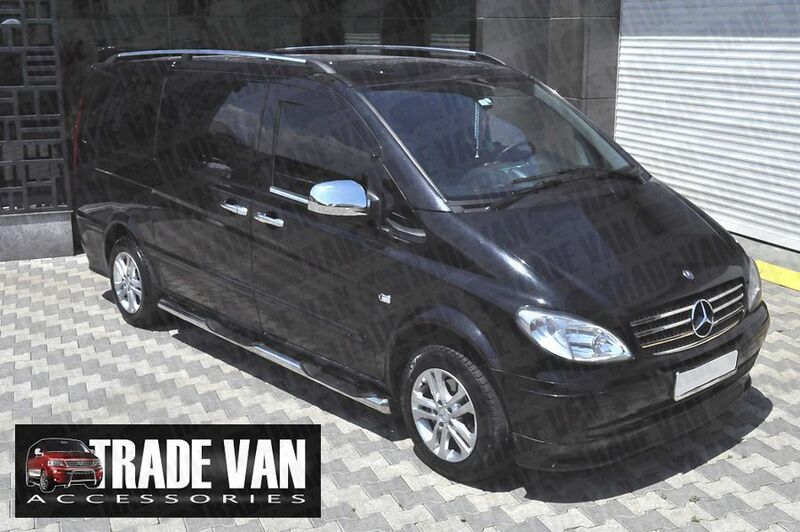 The price includes a pair of Side Steps with 4 Cut-out Plastic Steps for Short (Compact) and Long Model Vito and Viano that fix to chassis frame mounting points. Our Side Bars and Steps are Hand Polished to a mirror finish. These sidebars are the business. They transform a van into a statement! Click the button below to add the Vito Side Steps Bars VIPER BB005 76mm Compact Long 04- to your wish list.